To enlarge the strength of our brands throughout the European market, we present our own and licensed certification brands in a combination with our company name, Kiwa. Licensed certification scheme brands will also be presented with Kiwa as a parent brand, where allowed by licensees and under the condition that a scheme matches accreditation level. In doing so, we increase the (international) visibility of our brands and the brand's (market) value for our customers. Quality labels like Kiwa or Gastec QA are uniquely connected to the certified product, process, system, attestation or certification scheme and may solely be used by the certificate holder when a valid certificate has been issued. Kiwa offers a wide variety of licensed marks, branch and sector marks. They have a different look, but the same principles apply. To support certificate holders make the most of their certificate in marketing, we supply a pictogram for almost all certification schemes. 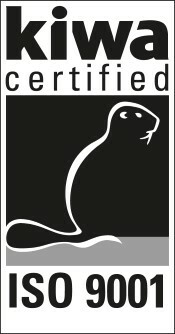 This so-called Kiwa Beaver Mark consists of an image of the Kiwa beaver and a referral to the specific certification scheme. Accreditation level, a country code and the certification scheme number are required to prevent issues of, for example, parallel imports.